Bin There Dump That just launched an amazing Interactive Spring Cleaning Schedule. This amazing cleaning schedule is to help all home-owners or renters to tidy up for this coming Spring Cleaning season. Do not fret, because this cleaning schedule is going to be available all year round! The Spring Cleaning Schedule is a daily to-do list that focuses on one part of your humble abode at a time. This is what makes it so efficient. It's an easy-to-use and follow cleaning schedule that doesn't take up too much of your time because it focuses so well on small corners of the household. Instead of doing the whole house in one day, use your time wisely. 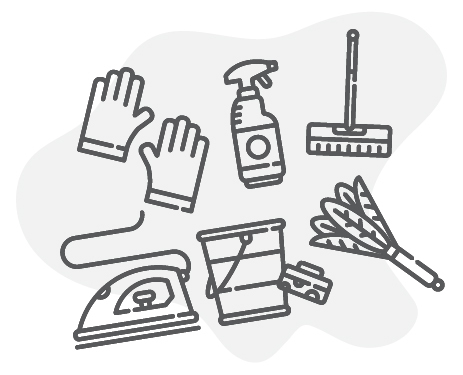 Tackle many different areas that you didn't think you needed to with the Spring Cleaning Schedule and you'll be surprised how much lighter you'll be as well as how fresh the air is. From the dawn of time, Spring Cleaning was always something you did and you never knew why. Well it's a great time for you to bloom into the new person you said you were going to be in the new year. It's the time to get out of the slumpy overcast weather and into blooming season. Tackle the new season day by day with a trusty Spring Cleaning Schedule.